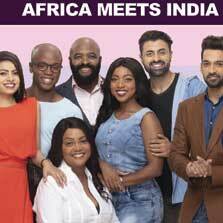 Zee World have announced the exciting premier of Mehek, the first production to star actors from the African continent. "Mehek represents an important and evolutionary part of Zee World's commitment to providing relevant, exciting and innovative content to its viewers. Zee is proud of this production and of our African actors; furthermore, it will undoubtedly set a strong foundation for similar productions in the future," says Harish Goyal, CEO, Zee Africa & Asia Pacific. "The decision to develop a Bollywood production with African actors stemmed from Zee World's unequivocal success in Africa and the love showered by our audiences for the channel. Zee World has enjoyed tremendous growth throughout the years and Mehek was the obvious next step" says Ratna Siriah, Business Head, Zee Africa. "The Multichoice group understands the importance of local content to our subscriber. As Africa's leading content producer and most loved storyteller, we are delighted that our channel partners such as Zee share this in this vision and investing in showcasing local talent in new innovative ways. ", added Aletta Alberts, Executive Head of Content Strategy for MultiChoice.